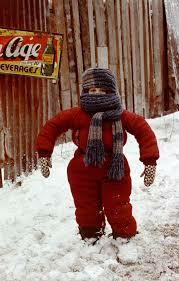 When I was younger and it was cold outside my mom would always tell me to put a jacket on before I went outside. And it was always for the same reason, if you don’t you will get sick. And I always did, mostly because I had to but also because its not really a burden to put on a jacket. But now that I am older and free to go jacket-less at any temperature, I began to wonder if my mom, and Im sure many other moms across the country, were right. Going into this my null hypothesis was that going outside in the cold without a jacket will make one sick, and the alternative hypothesis is that going out in the cold without a jacket will have no affect on ones sickness. By sick I am talking about the cold or a flu, obviously if you go outside without a coat and it is cold enough you can get frostbite or hypothermia, but for the purposes of this I will only look at the cold or flu. After some research about both the cold and the flu I found information that doesn’t looks good for moms argument. Both the flu and the cold are spread by viruses, and in order to get the cold or the flu you must be infected by another person, either by touching something they recently touched, or more commonly by being near someone who has the flu when they sneeze and having a particle land in your mouth or on your face. Nowhere did any source mention a cause being simply being out in the cold without a jacket. And if you just think about it logically it makes sense why this wouldn’t be the case. To get the cold/flu you need to catch it from someone, and that someone cant be mother nature during the winter. I suppose if a person went out in the cold without a jacket they could end up next to someone with the flu and then catch it from them, but that really doesn’t have anything to do with now wearing a jacket. On the other side of this, wearing a coat in the cold wouldn’t prevent someone from getting the cold/flu either. Wearing a coat outside doesn’t prevent someone from sneezing near you, and unless your wearing gloves it wont prevent your hand from possibly coming into contact with something a sick person had touched. So based on these straight forward and clear facts I have to reject the null hypothesis and conclude that wearing a jacket in the cold has no affect on whether or not you will get sick. But before you go home on christmas break and defy your mom by running around in a t-shirt in the snow, consider what Mr. Read has taught us in class, when you consider whether or not to do something you should take into account the costs and the benefits. Taking 15 seconds to put on a jacket really doesn’t cost you anything, but appeasing you mom could be beneficial to you, so in most cases it is still worth it to put on a jacket if you mom tell you to. This entry was posted in Uncategorized on December 2, 2016 by Sean Patrick Hickey. Moms truly are the greatest people on this planet, and while she may have been lying to you in order for you to put on the jacket, you know she only had your best interest in heart. And while there is definitive scientific evidence proving the cold does not simply cause the flu or a cold, it might not be the worst idea to put on a jacket when it’s frigid outside for your own good. According to this article, if the virus is already in ones nose, the cold weather can cause symptoms to develop quicker. I think this idea of getting “sick” simply originated from the fact that people tend to get runny noses after coming inside from the cold, which would sometimes persist, especially if you were one to follow the same pattern of when you’d decide to wear a coat or not. In other words, if you always opted not to wear a coat at 40 degrees, and it always gave you a runny nose, you’d notice a sort of false correlation. Something’s happening, but you’re not sick. I guess the main thing to think about is how those sorts of illnesses actually develop. The temperature has nothing to do with the likelihood of catching a virus (unless you’re talking about extremes and the ability for the virus/bacteria to survive). This was a very interesting and relatable article for all of us, especially since it just turned December and the weather conditions are about to go downhill even more. I agree, always worth putting on the jacket for the night instead of being sick for weeks. I think a lot of us can relate that we have to start investing in “frackets” (for those who don’t know…((frat jackets- girls wear ugly/old/oversized jackets on their way to frats while walking over so they aren’t freezing, and then take them off in the frat and hide them somewhere while they are inside so no one steals them and they can have it on their way home)). http://biologicalconclusions.com/blogs/2013/3/21/wear-your-jacket-and-keep-your-nose-warm tells a little bit more about the importance of wearing that jacket out.